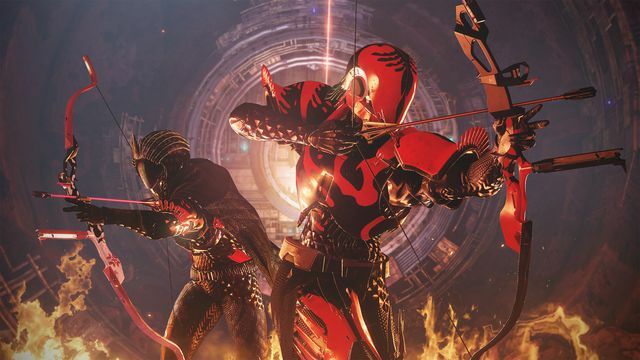 Crimson Days, Destiny’s bloody Valentine's Day celebration, returns next week to Destiny 2. Players will be able to compete with their in-game partners and earn new rewards from Lord Shaxx. The main mode for Crimson Days is Crimson Doubles. Players will form up — or matchmake — into a squad of two and venture into the Crucible in a round-based version of Clash. However, to make the event more doubles focused, players will gain increased ability generation when standing near their partner. Players who find themselves too far away from their partner will be revealed on the map and become easy prey for enemy squads. While PvP is the focus for Lord Shaxx, he will offer players PvE bounties as well — including a weekly bounty that involves completing the Nightfall with your Crimson Doubles partner. These bounties and completed Crimson Doubles matches will reward players with the Crimson Days currency: Confectionery Hearts. Daily bounties give 15 hearts, and the weekly gives 75. The rewards themselves are the same as last year, with two more added bonuses. Shaxx will offer players The Vow bow, which comes at 650 power for Forsaken players. This is actually first bow available for those who don’t own Forsaken. For players who want to keep playing after they’ve earned all the rewards, Shaxx will sell a Warmhearted Gift Package. These boxes can come with weapons, armor, resources, mods, and enhancement cores. Like all holidays in a post-Forsaken world, players will be able to complete triumphs as well. Bungie isn’t revealing them yet, but players who complete all of them will earn the Sugary Ghost Shell as their reward. Over the holiday, players will earn double engrams for every level up, including a Crimson Engram. All of these offerings are the same, so players will be able to complete their collection if they missed Crimson Days last year. There will also be two new Eververse items to celebrate the event, including an ornament for The Vow bow. Crimson Days will start on Feb. 12 and conclude the following week on Feb. 19.